DON'T FEED THE TROLL. @Tronsucks only feels special when people acknowledge him. I suggest everyone block him by hovering over his name and then pressing the button shown below. There is no doubt the whales and their bot armies manipulate dozens and dozens of alt coins to mirror BTC. And they dump BTC knowing the other coins will follow. But, I'm going to take a glass is half full approach on this topic and say whales are dumping BTC when XRP has good news so they can buy XRP on the cheap. I can dream right? The only way XRP or it's "successor" (as you put it) will lose it's value is if FIs, companies and people suddenly stopped needing to send money around the world as fast and cheaply as possible. I don't think the need to move money will disappear anytime soon unless Humanity evolves past greed and corruption to the point we no longer need money, which I also don't see happening anytime soon. We all know you are incapable of seeing anything clearly. Your damn face is upside down for Christ's sake. Plus, you are more likely a misinformed FUDster troll than a true XRP believer/HODLer. Clearly you are not familiar with @Mods_are_tyrants He’s an annoying Debbie downer that constantly spews pessimism about XRP even though he is wrong most of the time. Just like his “question” about this xRapid transfer indicates. He has zero clue about XRP’s potential. @Mods_are_tyrants Where did you go? We have more facts for you to feast on if you can stop spewing bull sh*t FUD out your mouth for five mins. Considering how fast our tech based society moves now, this probably won’t be a long wait. Don't let those whale b*stards mess with your head. They play these up and down games to steal Zerps from weak hands, don't feed their greed. You have two choices with XRP. If XRP craters you ride this crazy rollercoaster into the ground and accept that you took a chance on emerging tech and lost. Or, if XRP moons, you HODL tight and cash out in a few years when your stack is worth millions. There are no other options and there is no room for regret. LOL. That dude looks kind of like a human/white version of Worf. Which XRP community members you like best? @Coin_Hound @Coin_Hound @Coin_Hound @Coin_Hound @Coin_Hound @Coin_Hound @Coin_Hound @Coin_Hound He's the best. Woof Woof! What’s in a Name… or a Symbol? Nope. That is a trademarked logo of a private company. It would also make a terrible currency symbol. Most importantly, a benefit of doing this is to distance XRP from Ripple, not bring them closer together. 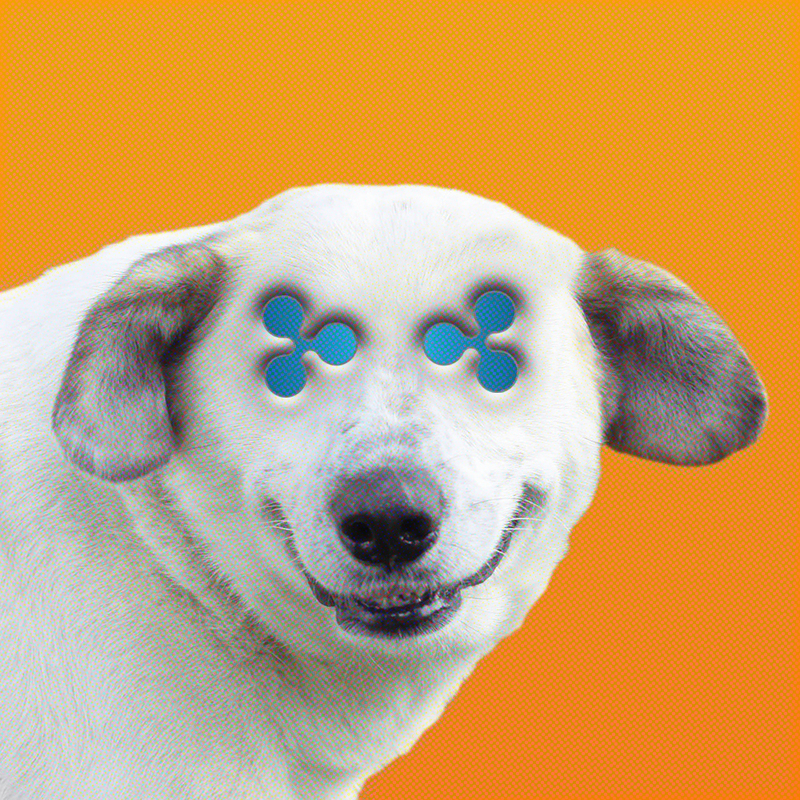 XRP needs a unique symbol that falls in line with the currency symbol rules. I posted a similar idea on another thread. I prefer a more square x over a thinner, taller x. Either way I prefer this design style. It’s simple and more in line with other currency symbols.